On 14 May 1990 my two-year old son Daniek was going through the drawers with old, English-language newspapers. In one of the magazines there was an article about Millard Fuller, the founder of Habitat for Humanity. Together with my Texan wife Rhonda, we had struggled with our housing conditions for 5 years. Our problem was eventually solved by inheriting my parents’ house, but we were aware that if it wasn’t for this, we would have been without a proper home for much longer. We managed to gather a group of wonderful people of various talents and in 1992 we officially affiliated Habitat in Gliwice, Poland. Affiliation involved signing an agreement between the group in Gliwice and representatives of Habitat for Humanity in the USA. The deal was made on 10 March 1992 and this date can be considered as the official beginning of Habitat for Humanity Poland (then operating under the name: Habitat for Humanity Homes of Hope Association). The date is significant not only in the Polish context, but also Europe-wide, as there was no Habitat on the continent before that. The founders of the Polish Habitat had immediately moved to action and began the construction of an estate at Orion St. in Gliwice. Between 1992 and 2010 8 multi-family buildings were raised there – a total of 69 apartments. They were inhabited by families, which previously were in difficult housing situation – e.g. lived in overcrowding or without access to running water. From the very beginning help was given in a form of partnership – every family actively participated in the construction works and received its apartment not as a donation, but rather through an interest-free loan given by Habitat. New apartments became available for low-income families, as Habitat significantly lowered the labour costs by acquiring volunteers and sponsorship for each project. Adam Król estimated that the prices of apartments built in Gliwice were on average 50% of the market price. The project in Gliwice was inspiring for other groups in cities across the country, triggering more local Habitat for Humanity organisations to appear – including Gdansk and Warsaw. In 2002 the country office was established in Warsaw in order to coordinate all local initiatives. Cooperation between all organisations became so close that in 2014 they had decided to found one legal entity – Foundation Habitat for Humanity Poland. 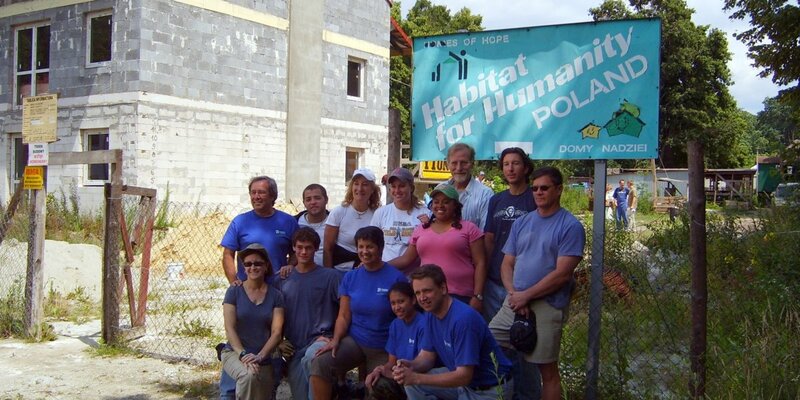 Currently, Habitat for Humanity Poland works through 2 offices – in Gliwice and in Warsaw. Its actions amount to a total of 120 built housing units, but its activities are no more limited to building homes and apartments. In order to reach as many people in difficult living situation as possible, Habitat Poland undertakes also other projects, such as renovations or actions for introducing systemic solutions for increased availability of inexpensive apartments in decent living standard.